Thus, if a child whether legitimate or illegitimate has attained majority as per the aforesaid Act of 1875 and is not suffering by any physical or mental abnormality or injury, thereby unable to maintain itself, would not be entitled to receive maintenance u/S. 125, the Court said. 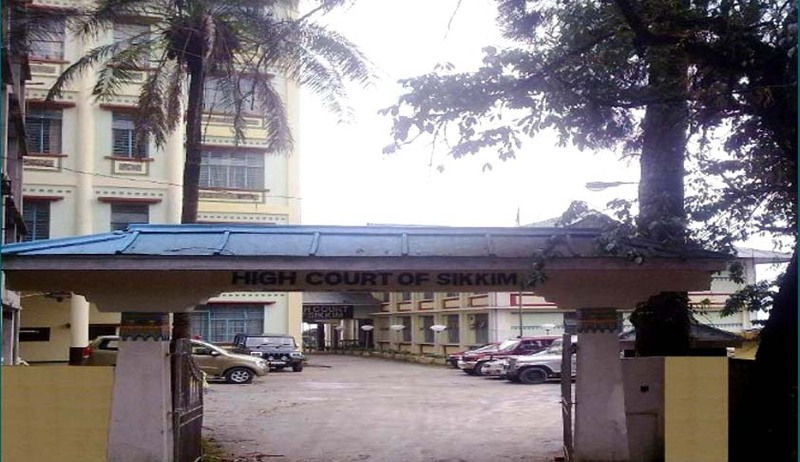 High Court of Sikkim has set aside an order by Family court which had enhanced maintenance to ‘son’ who had attained majority. On the Revision petition filed by ‘Father’, Chief Justice Sunil Kumar Sinha, held that provisions of Section 127 of Code of Criminal Procedure are always subject to the provisions of Section 125 and as the major son, ceases to be entitled to receive maintenance under section 125, he cannot seek an order of enhancement under section 127. In this case, The Family Court, had enhanced the aforesaid amount of monthly maintenance from Rs.6,500- to Rs.30,000 per month. It had also granted five lakhs in favour of the wife (mother) towards the amount incurred by her upon admission and prosecution of studies of the Second Respondent in an Engineering College at Bengaluru. Father, aggrieved by this order, filed this Revision petition. The petitioner-husband contended that since his son had turned major, he is not entitled to receive maintenance under section 125 CrPC and hence no enhancement under 127 CrPC. was possible. Relying on a Bombay High Court ruling in Jayvardhan Sinh Chapotkat vs. Ajayveer Chapotkat, the respondent-wife contended that the Family Court was right in granting the said amount because it is the moralof the father to bear the expenses, which are incurred towards education of his son and the fact that he has turned major does not make any difference, as Section 125 and Section 127 of the CrPC. are two different provisions providing independent jurisdiction. The High court said that the provisions of Section 127 are not independent as they provide for a consequential order upon proof of a change in the circumstances of any person receiving maintenance or directed to pay maintenance under Section 125. The change in the circumstances of the concerned person, therefore, has to be judged in the light of the provisions of Section 125 and a Court, considering an application for alteration u/S. 127, cannot say goby to the provisions of Section 125, which are basic provisions for grant of maintenance to the person concerned, the Court said. The court further said that if a child has attained majority and is not suffering by any physical or mental abnormality or injury, thereby unable to maintain itself, would not be entitled to receive maintenance under section 125 and hence enhancement of maintenance under Section 127 is also liable to be set aside. The court said that the Bombay HC judgement is distinguishable from this case, as it was a civil dispute and it was the Writ Court which has held that the major son can avail educational expenses from his father.The court added that, in that case, it was not maintenance in strict sense as contemplated under section 125 CrPC. In fact, Division bench of Bombay High Court, relying on the Apex Court decision in Rita Dutta and Anr. v.s. Subhendu Dutta(2005) 6 SCC 619, had ruled that, major son of the well-educated and economically sound parents can claim educational expenses from his father or mother irrespective of the fact that he has attained majority.